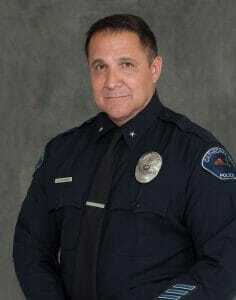 Chief Travis Walker is the Chief of Police for the Cathedral City Police Department, located in Southern California. He joined the Cathedral City Police Department in September of 2016, as the Deputy Chief of Police. He holds a Master of Science Degree in Leadership and Disaster Preparedness, from Grand Canyon University, and a Bachelor of Science Degree in Criminal Justice. 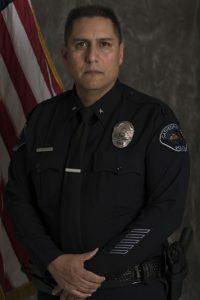 Prior to joining Cathedral City Police Department, he spent twenty-years with the San Bernardino Police Department, where he worked a variety of assignments throughout his career; to include Patrol, Bicycle Mounted Enforcement, Narcotics, Gangs, K9, Specialized Enforcement Bureau, and various Detective, Supervisor, and Management Assignments. He also served as the Tactical Commander during the 2015 terror attack in the city of San Bernardino. Chief Walker has taught the following law enforcement courses: Problem Oriented Policing, Terrorism Response and Investigation, Gang / Drug Investigations, Hostage Negotiation, Active Shooter Response, National Incident Management System, and Incident Command System. He is a sought after speaker for a variety of public safety & tactical conferences, and he teaches SWAT Command Decision-Making & Leadership for the National Tactical Officers Association. He currently serves as an Executive Fellow with the Police Foundation, is a critical incident management/response subject matter expert for California Peace Officers Standards and Training (POST), and is the Region 8 rep for the California Association of Tactical Officers. Deputy Chief Yoakum joined the Cathedral City Police Department in December of 2017. Prior to joining the City, Deputy Chief Yoakum spent 29 years with the City of Upland California Police Department. 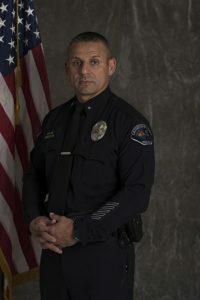 During his time with Upland he worked a variety of assignments including; Patrol, SWAT, Gangs, Detective, Supervisor, and managerial assignments, culminating with the last three years as a Captain. He is a graduate from California’s Commission on Peace Officers Standards and Training, Command College Class 54. He holds a Master’s Degree from California State University, Long Beach in Emergency Services Administration and a Bachelor’s Degree in Workforce Education and Development, from Southern Illinois University at Carbondale. Commander Luna is currently assigned as Investigations Division Commander. He is the current Assistant Commander of the Desert Regional SWAT Team. 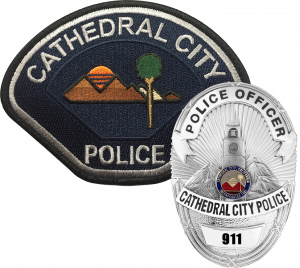 Commander Luna joined the Cathedral City Police Department as a Police Officer in 1992. He holds a Master of Science in Education and Bachelor of Science in Education from Southern Illinois University. Commander Luna is a graduate of the Supervisor Leadership Institute and the California POST Management Course. During his 23 years of service, he has worked several assignments, including Patrol, Investigations, and Gangs. He has also served as a Department instructor in arrest & control techniques, self-defense, baton, and range. Commander Herrera is currently the Department's Support Services Commander. He started his career with the Banning Police Department and has been with CCPD for over 20 years holding assignments in SWAT, Investigations, and Field Training. As a sergeant, Lt. Herrera supervised the Blight Abatement Team and the Investigations Bureau. He holds an undergraduate degree in Environmental Science and a graduate degree in Business Management from the University of Redlands, and is a graduate of the Sherman Block Supervisory Leadership Institute. Commander Dickson is currently the Department’s Operations Commander. He began his career with the Laguna Beach Police Department and has been with CCPD since 2000. 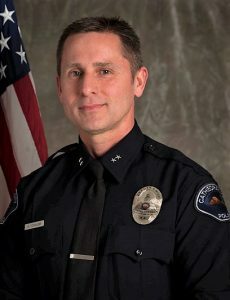 During his career at CCPD, Commander Dickson has been assigned to the Detective Bureau, the Coachella Valley Narcotics Task Force and served as a Field Training Officer. As a sergeant he supervised patrol, the Crisis Negotiation Team for Desert Regional SWAT and was assigned to the Professional Standards Bureau. He holds an undergraduate degree from Southern Illinois University in Education. He is a FAA certified UAS (drone) pilot and supervises the UAV program.